How can personalized nutrition from the results of genetic testing help you? Did you know that genetic DNA based dietary advice is superior to the one-size-fits all general recommendations? Genetic Testing is an emerging science with so much potential to help you on your road to wellness. See below for some examples of what we can find out using the Nutrigenomix Genetic Testing. 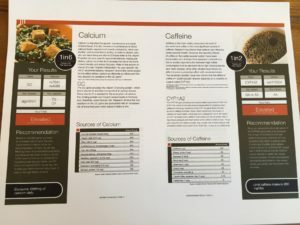 See a Nutrigenomix Sample Report here! Have you ever wondered why some people can tolerate milk and others cannot? You may know that is oftentimes because of lactase enzyme deficiency which is an enzyme needed to breakdown the sugar (lactose) in milk. BUT, did you know that scientists now know that your intolerance can be identified by your genetics. This helps explain why nutrition research has so many conflicting results; with genetic testing, the facts become more clear. Your genetics can help determine if you have nutrition vulnerabilities that others may not have based on your genetic makeup. Did you know it is possible to determine your risk of celiac disease? Family history can help you think about possibility of celiac disease, but genetic test can help you effectively rule out celiac disease in 70% of people testing. This is because 70% of people do not have the required genetics to develop celiac disease. On the other hand, if you test positive salvia testing to celiac disease, if you do have some genetic markers of celiac disease, then it would be wise to have further testing with your physician. Genetic testing can also answer the question of whether coffee is good for you or potentially harmful for you. Coffee does not affect everyone the same way so it is important to know about genetics and caffeine consumption/metabolism. Depending on whether you are a slow or fast metabolizer of caffeine can determine if having caffeine would increase your cardiac risk. If you are a fast metabolizer of caffeine, you are at a greater risk of heart disease. Surprisingly, this risk does not always correlate with your perception of caffeine. Yes, that is why some people (the fast metabolizer of caffeine) need to be consuming less than the typical recommendation of coffee to prevent heart disease. This research is both fascinating and motivating because it is based not on national or worldwide recommendations, it is based on your specific genes. Why is it important for you to work with a Registered Dietitian Nutritionist with genetic testing? Just because you have the gene, it does not mean that the gene is expressed, and you may have other genes that affect the expression that change the outcome. Your gene expression also depends on your lifestyle habits and environment. It is important to discuss with your Registered Dietitian all the factors in your health and monitor symptoms to create individualized, overall nutrition recommendations. 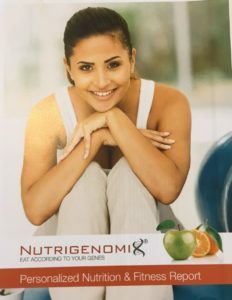 Contact us for more information on how we can help you interpret your nutrition related genetic results and advise you on actionable recommendations or reach us at 301-474-2499 to schedule a consultation.